John Santoro is a California native who transferred from Orange County to the Temecula Valley in 1989 with his wife Marina. Together they are raising a family in the wine country. 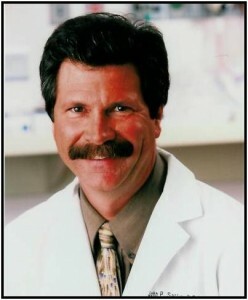 Dr Santoro was drawn to podiatric medicine while working part time as a ski boot fitter as he attended California State University at Long Beach. There he earned a degree in Zoology with an emphasis on pre-medicine. After graduating, he obtained his degree in podiatric medicine and surgery from The California College of Podiatric Medicine in San Francisco. He then completed an extended residency encompassing advanced techniques in foot and ankle surgery. He is board certified by The American College of Foot and Ankle Surgeons as a surgeon in both foot and ankle surgery and has been published many times in medical journals.